Shadi Bartsch-Zimmer, the Ann L. and Lawrence B. Buttenweiser Professor in Classics and the College, has been named the Helen A. Regenstein Distinguished Service Professor in Classics and the College. Bartsch-Zimmer has written four books and has three edited volumes. 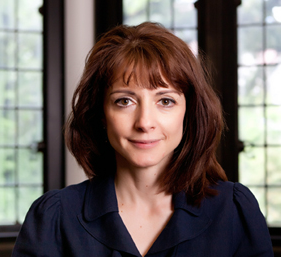 Bartsch-Zimmer, whose research focuses on Roman literature and culture, has been honored for her teaching and scholarship with a Faculty Award for Excellence in Graduate Teaching, a Llewellyn John and Harriet Manchester Quantrell Award for Excellence in Undergraduate Teaching, and received a Guggenheim Fellowship in 2007. Bartsch-Zimmer is a graduate of Princeton University and received her PhD from the University of California, Berkeley, where she taught before joining the UChicago faculty in 1998. Read the University News Office story, which features six other University of Chicago faculty members who also received named professorships, here. Posted in Uncategorized. Tagged with Awards, Classics, Faculty, Shadi Bartsch-Zimmer.